What you want to do is to bring your like button to the point of conversion. To the point where people have the impulse to follow you because they like what you do. 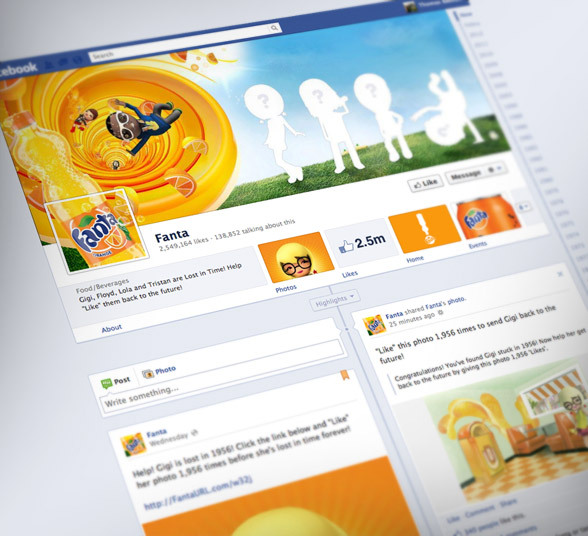 Yesterday, Facebook introduced Timeline for brands to unify the experience across both personal and professional profiles. With it, there are a number of big changes. One is the entirely new layout and how that works. Another is the drastic change in the use of tabs, among which that you can no longer use a landing tab for your page. Everyone has to interact directly with the Timeline ...and that is a good thing! I won't tell you about all the features because you can get much better information about that directly from Facebook. You can see the video introduction, download the Pages Overview Guide or read the Pages Product Guide. It's all there, very neatly and easily explained. What I will talk about are some of the things that Facebook doesn't tell you. For instance, how to optimize how your posts look. Before we discuss some of the specifics, we have to look at where people spend their time on Facebook. I have been covering this in several articles, but it is important to understand in light of these new changes. The bottom line is that people rarely spend any time on your Facebook Page. They spend their time on the newsfeed, on a friend's profiles, and in the few apps they have chosen to use. Facebook Pages and tabs is not that important. We have seen countless of studies pointing to this fact, but you don't need a study to realize just how little time people spend on your page ...and thus on your new brand Timeline.